Give your iPhone 6s Plus/6 Plus the style and protection it deserves with Regatta. This dual-layer case is made from a combination of shock-absorbing TPU on the inside and impact-resistant polycarbonate on the outside to safeguard your phone from damage. Regatta’s sleek, form-fitting shape ensures that your iPhone 6s Plus/6 Plus stays slim and lightweight while keeping it protected. Made from a two-layer construction of polycarbonate and thermoplastic polyurethane, Regatta offers double the protection for your iPhone 6s Plus/6 Plus. The hard polycarbonate exterior provides impact resistance while the soft thermoplastic polyurethane interior is shock absorbing. This combination of hard and soft materials will keep your phone safely protected from accidents and mishaps. Despite its high level of protection, Regatta is slim and compact, making it the perfect complement to the iPhone 6s Plus/6 Plus. An intelligently designed structure maximizes protection while minimizing bulk so that Regatta is sleek and easy to carry. Regatta is made to fit the sleek shape of the iPhone 6s Plus/6 Plus. 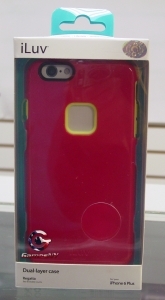 It provides your phone with a snug fit so that there are no gaps or spaces between your phone and the case. 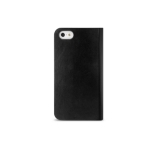 With Regatta you never need to worry about your phone slipping free from the case. Regatta comes in seven different fun color combinattions that allow you to express your style.